Malaysian firm Weststar has withdrawn from its planned deal to acquire LDV vans, forcing the firm to apply for administration. Last month Weststar agreed a deal to acquire the Birmingham-based van maker and the government pledged a £5m four-week loan until the deal was sealed. Business Minister Ian Pearson said the government was disappointed that the deal had fallen through. 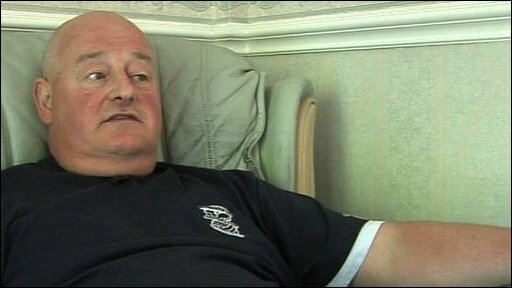 "This is clearly a worrying time for the workforce," Mr Pearson said. "We are ready to offer support to the workers through Advantage West Midlands and the Job Centre Rapid Response Team. "We gave LDV a breathing space, a bridge to the future but in the event, unfortunately, Weststar was unable to cross that bridge," he added. LDV said: "The directors of LDV Group have been forced to reapply for administration to protect the assets of the business. "This is due to the fact that essential funds required to maintain the business and workforce as a going concern are not being made available." 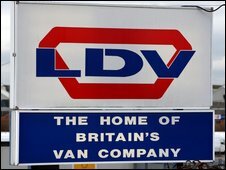 LDV employs 850 workers and is also a major customer for many suppliers. It employs 1,200 people in dealerships. "We are gravely disappointed at this news. We just hope that something can be retrieved. LDV has been down this route many times before and we hope it can bounce back again," said a spokesman for the Birmingham Chamber of Commerce. I have worked at LDV for over 20 years, and I feel that this time we will not recover from this. Union representatives are concerned over the implications for workers. "GMB will be seeking immediate talks with the management of LDV, with the government and with Weststar to see what the options for the future are," said Joe Morgan, regional secretary of the GMB union. "We are firmly of the view that the UK Government cannot stand aside and let these manufacturing jobs go to the wall." The latest move follows many weeks of uncertainty for the van maker. LDV had been set to go into administration at a hearing in early May, but the court was told that LDV's Russian owner Gaz had sold its share in the firm to Weststar. Since 2006 the firm - formerly Leyland DAF Vans - has been owned by Russia's Gaz Group, controlled by Oleg Deripaska. The firm's plant has been at a near-standstill since before Christmas.